This kid-friendly colorway of the Nike KD VI is now available. 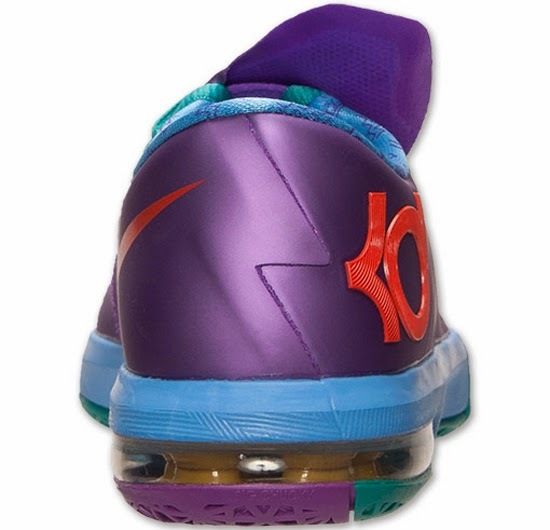 Known as the "Rugrats" edition, this Nike KD VI GS comes in a laser purple, team orange and sport turquoise colorway. 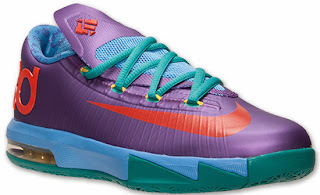 Made exclusively for kids, they were inspired by the classic '90s Nickelodeon cartoon. 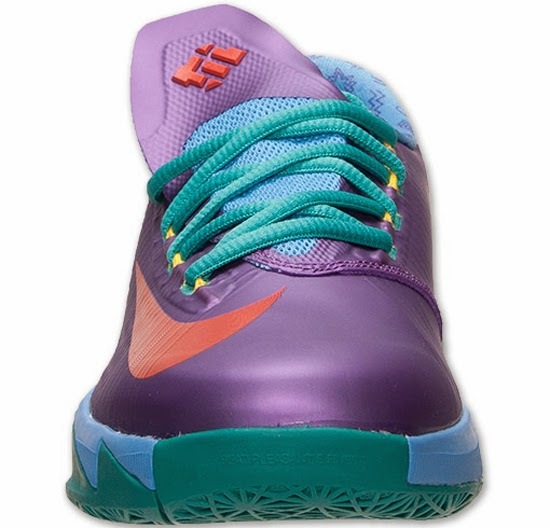 Featuring a purple based upper with orange, turquoise, gamma blue and yellow accents. A general release they are available now at select Nike accounts worldwide and were released on Saturday, December 14th, 2013. Retail is set at, $100 for GS (gradeschool) sizes and, they are also available preschool, toddler and infant. 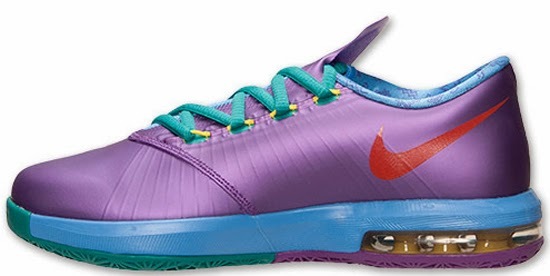 Enjoy the official images below of the "Rugrats" Nike KD VI GS in laser purple, team orange and sport turquoise. If you're interested in picking these up, check in with your local spots to see if they received them. Those of you looking for a pair now can, grab them from eBay here.